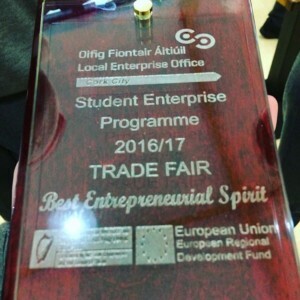 At our very first Trade Fair in Blackpool Shopping Centre, we won the Student Enterprise Best Entrepreneurial Spirit Award. 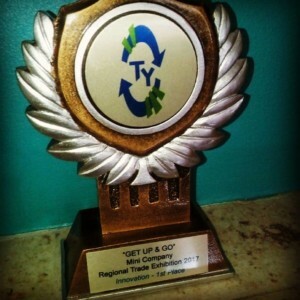 At the PDST Get Up & Go Regional Competition in the Vienna Woods Hotel, Cork, we won 1st Place in Innovation and qualified to go to the National Final. 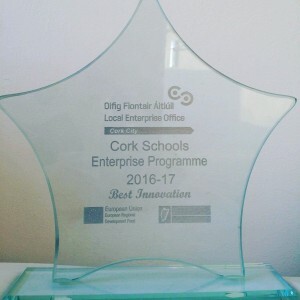 At the Student Enterprise Cork Regional Final in UCC, we won the Best Innovation Award. 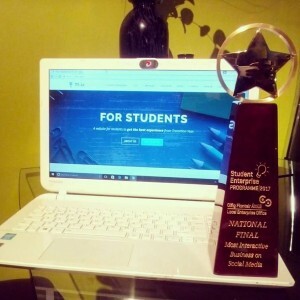 At the Student Enterprise National Final in Croke Park, Dublin, we won a social media award for Most Interactive Business on Social Media. 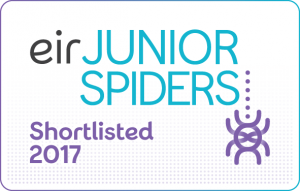 We were shortlisted for Best Transition Year Project in the eir Junior Spiders competition.